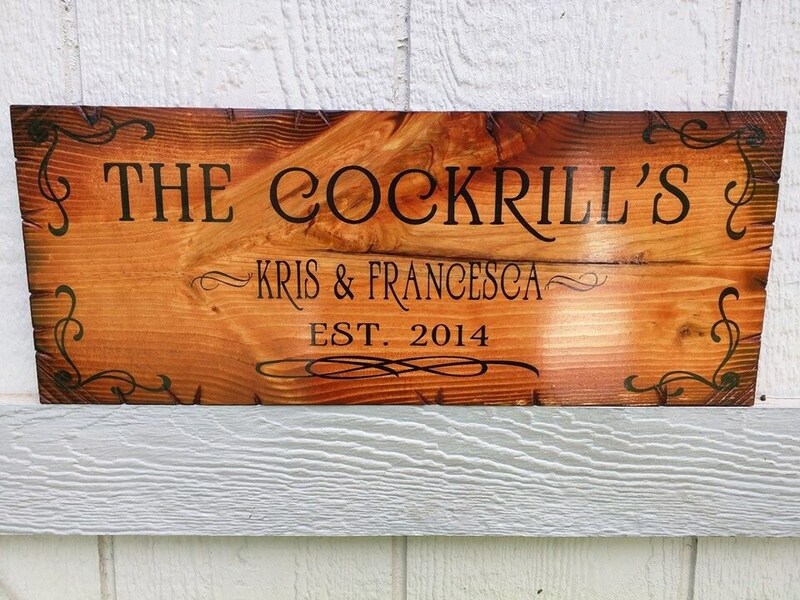 A family name sign featuring the last name, couple's names, and their established date. 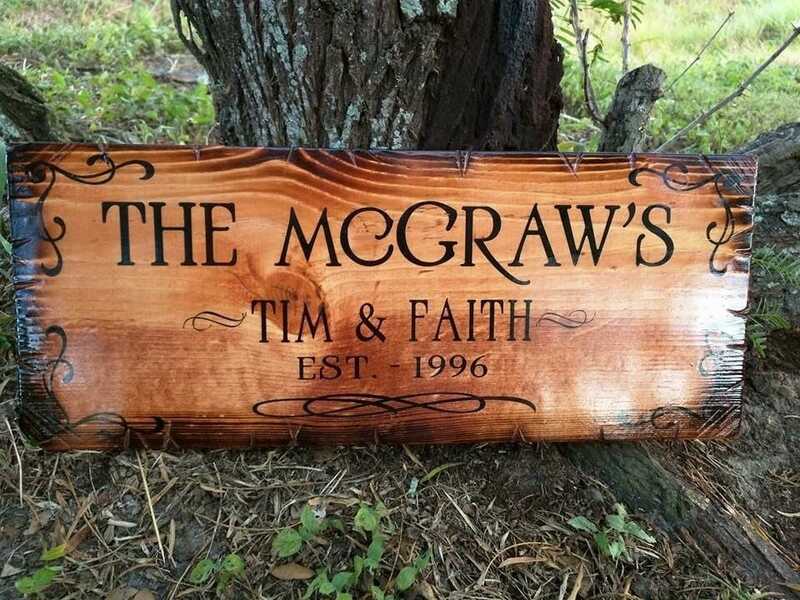 This is new wood that is distressed before being stained with gunstock and then painted with black for the lettering and flourishing. There is not any vinyl on any of our signs! If you would like a different stain or paint color, please don't hesitate to request it! This sign is approximately 18" wide and 8" tall. It is made to look rustic, and is finished with a glossy sealer and has D-rings on the back for easy hanging.